After running the Tórshavn Marathon in the beautiful environment of the Faroe Islands on 3rd June 2017, here I was back in the Faroe Islands four months later, this time going to the most southerly („sunnasta“) island in the Faroes, Suðuröy, to participate in another race: Føroya Sunnasta 1/2 Marathon. Suðuröy has 4600 inhabitants and is well known for its spectacular nature, including the famous bird cliffs of Beinisvørð. Its distance from the rest of the country partly explains its uniqueness in landscape, language and culture. It is also claimed the island has the best weather and the most friendly people in the country. To get from Iceland to Suðuröy is easy and what‘s more you get to travel by plane, ferry and automobiles. The flight time from Reykjavik to Vágar Airport is only 1 hour and 25 minutes, it is then a 45 minute drive to Tórshavn and a two hour very scenic ferry ride to Suðuröy . On the ferry I realized its final stop, Tvöroyri, is about 30 minutes from Vágur, the place where I had planned to stay. Friendly locals on the ferry told me to take the bus route nr. 14 from Tvöroyri all the way to the Hvistan running club house which doubled as my Airbnb apartment for my stay in Suðuröy . I have fond memories of this short bus trip as young ladies from the local sport club sang nice songs all the way to our destination. The day after, on race morning, the same bus stopped outside my apartment to take me all the way back, as the course starts in the town of Tvöroyri and finishes in Vágur. Me and two female runners from Faroe Islands stepped in to a bus crowded with runners. The bus took us to the Culture house, SALT, in Drelnes where race numbers and T-shirts were handed out together with last minute instructions before we lined up for the start. It is probably difficult to organize a race more than a few km long in the Faroe Islands without having some serious hills. Like in every other race on this island, the half marathon course has some steep hills and soon enough the first one came along. One of the main reasons to visit the Faroes is of course the stunning landscape and the scenary during this race was amazing. The course weaved from town to town through beautiful countryside, usually involving running up a steep hill and then down again to arrive in the next town. The hydration stations in the race were one of the more enjoyable and unusual aspects of the run. They were all located in very interesting and historic places. The first one was at the historic Bønhúsið í Øravík (House of Prayers), the second in the wooden church in the lovely town of Hov, and the third at Missiónshúsið in Porkeri with 14 km finished. Tradition claims that once in the old days a dispute of field boundaries between Hov and the neighboring village Porkeri was sorted out by a walking-race between one man from each village. They really should continue this tradition! Another unique feature of the race was the 2.4 km long road tunnel, Hovstunnilin, which the course passes through between Hov and Øravík. Near the end the course passed the Hvistan clubhouse where I woke up in the morning, in the town of Vágur on our way to the finishing point, the Páls Høll swimming complex located on the outskirts of town. The event was a huge success, with 260 participants and will be repeated on Saturday 22nd September 2018. This half marathon is all about having a great time and enjoying the beautiful scenery and the hospitality of the locals. The event is not timed – everybody is a winner! After Føroya Sunnasta 1/2 Marathon I took on a sightseeing trip to explore the rest of the island. It‘s landscape seems to be from another world and it‘s obvious why it is so popular among nature lovers and photographers. 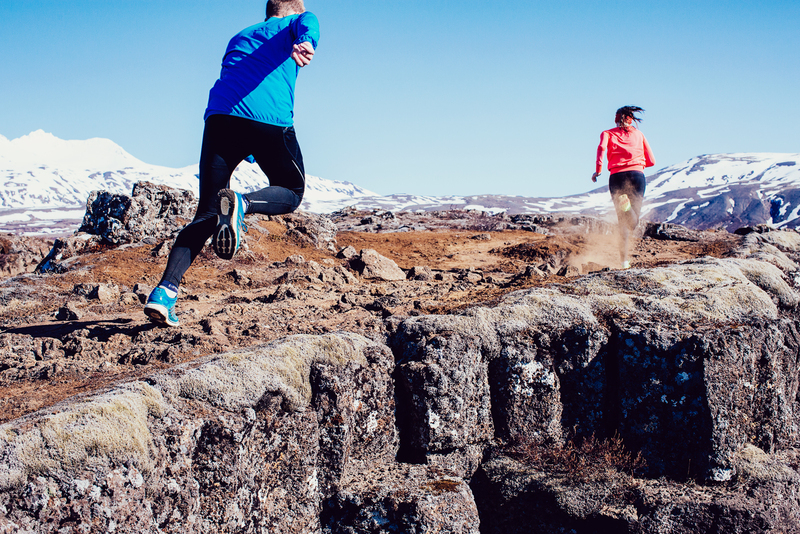 I strongly encourage runners to participate in the Føroya Sunnasta 1/2 marathon and then have a few great days out in the spectacular nature of Suðuröy. It was a great run! You have even manage to catch me in the 5th photograph (yellow/blue jacket). I hope I can make this years. Always looking for an excuse to go back. Any of the local runners know if there is a trail from Akraberg to Sandvik over the top trails? Done a few runs up and around hvannhagi, just be amazing if there was a trail race taking in famjin too!